This has the same appearance as the tabards of frost/flame, but colored green and yellow. It is worth 2000 UDE points each. Upperdeck Entertainment (UDE) have released a statement that this tabard as well as the will be available for purchase from September 1st 2008. This will make a total of 5 epic tabards available from the UDE points store. The cost in UDE points will be 2000, the same as the existing . According to http://www.wowtcgloot.com/tabard_of_nature.htm (most information sourced from there), the average price for the is around $10USD. Jesus who buys this stuff, use the cash on joining a golf club or something.. you got so low selfconfidence that you need to have a unique tabard in a game so people can say "oooh cool tabard man" or something similar? See also my transcript of my chat with Customer Support agent Wumathais. This particular Tabard now has a possibility to be seen on the BMAH. I have no idea if the other UDE Tabards can go up on there as well but this is the only one I've seen. I'm aware that Tabard of Flame can be gotten there too. And apparently Tabard of Frost can as well. Again I'm not sure if others can be gotten as these are only two other than this tabard I've heard of/seen. 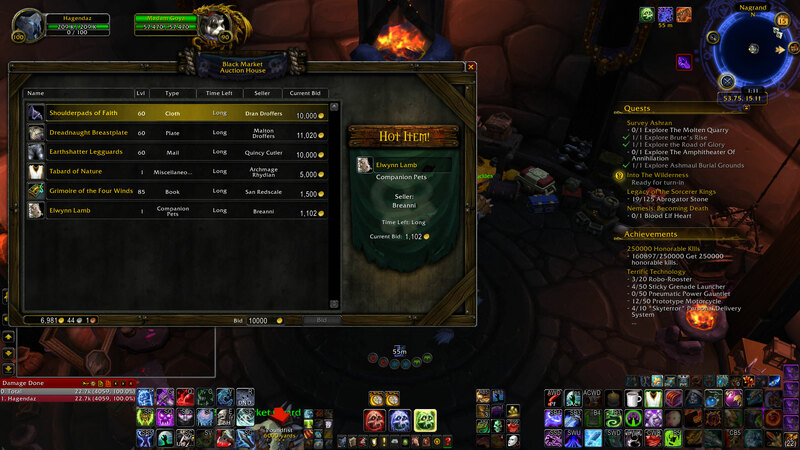 Was on the BMAH yesterday for over 60k when I logged off and went to bed. This thing is on the BMAH today. I have to say that I'm baffled why anyone would pay 225,000 gold for it.